The new Fusion will be available with one of three four-cylinder engines, ranging from 170 hp to 237 hp. DETROIT -- The 2013 Ford Fusion made its public debut at the Detroit auto show in January. It was completely restyled from the last-generation car and bears a strong resemblance to the Ford Evos concept revealed in Frankfurt. 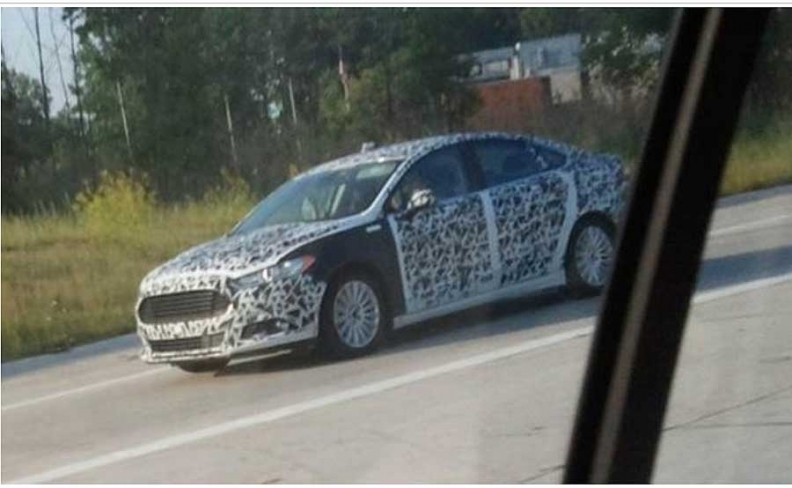 The new Fusion will hit showrooms soon, but a reader of Autoweek, an affiliate of Automotive News, spotted this camouflaged prototype cruising the streets of metro Detroit on Thursday morning. The new Fusion will be available with one of three four-cylinder engines, ranging from 170 hp to 237 hp. Ford will also build a Fusion plug-in hybrid model to compete with the Chevrolet Volt and the Hyundai Sonata hybrid. The Fusion will be offered with a six-speed automatic, a six-speed manual or a six-speed SelectShift automatic, an upgraded unit used on the Ford Taurus SHO. 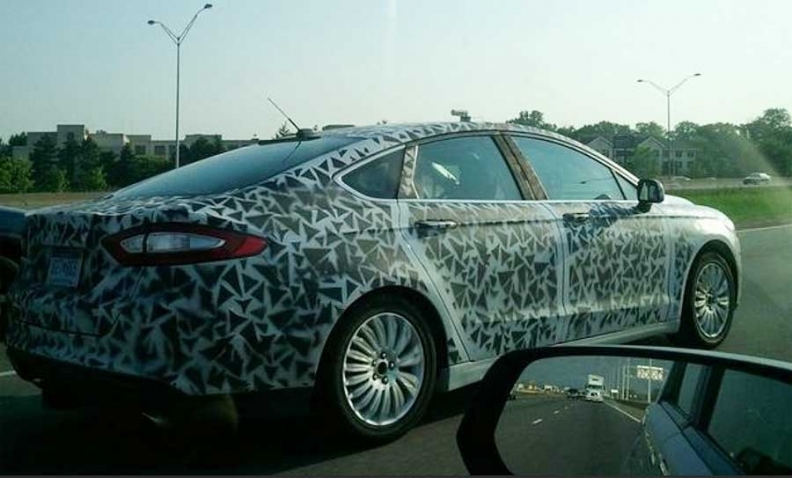 In the pictures we can clearly see the 2013 Fusion's headlights and new grille, though it looks to be blacked out on this car and not chrome. The new flowing shape is easily seen, along with the oblong taillights we saw on the show model. Ford says the car will go on sale "in the middle of 2012."